Welcome, Rheumatologist, Ellen Cosgrove, M.D. 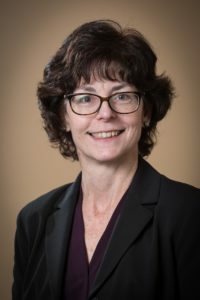 Queensbury, N.Y. – January 15, 2019 – Hudson Headwaters Health Network is pleased to announce Ellen Cosgrove, M.D., has joined James Yovanoff M.D., as the Network’s second rheumatologist. Dr. Cosgrove graduated from Siena College, where she earned a bachelor’s degree in biology. She received her doctorate of medicine degree from SUNY Upstate Medical University and completed her residency program at Mercy Hospital of Pittsburgh. She completed her rheumatology fellowship at George Washington University Medical in Washington D.C.
Dr. Cosgrove will see patients at West Mountain Health Services, building 2 in Queensbury, treating arthritis, certain autoimmune diseases, musculoskeletal pain disorders, osteoporosis, and other rheumatic diseases. Dr. Cosgrove is available for consults and referrals from within the Hudson Headwaters network, and from other patients and providers in the community. To schedule an appointment with Dr. Cosgrove please call 518-824-8610.